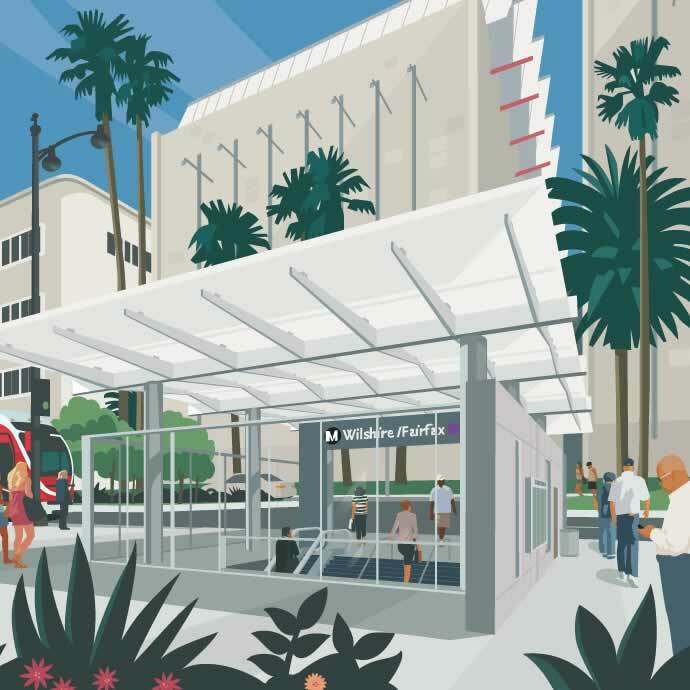 Due to construction activities at Wilshire Blvd./La Cienega Blvd., Metro has launched a 1-hour parking validation program to provide replacement parking for metered spots on Wilshire Blvd. between San Vicente Blvd. and La Cienega Blvd. 1-hour parking validation, Monday – Friday, 10am – 3pm located at 8350 Wilshire Blvd. and 8447 Wilshire Blvd.